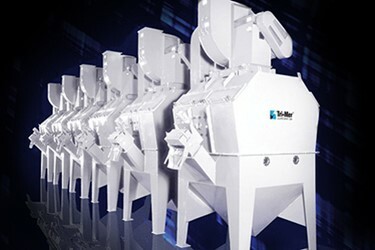 Whirl Wet provides High Efficiency Wet Dust Collection for Erickson Cosmetics. Production was accelerating at Erickson Cosmetics, a Chicago-based maker of talc and cornstarch-based products for the Mennen Division of Colgate-Palmolive and other companies. The 320,000 sq. ft. plant is highly automated and, while the primary powder line operated within regulatory guidelines for dust control, Todd Nelmark believed there were strong reasons to consider automatic dust collection.